It has been already four years since the Holy and Great Mother Church of Christ took up the initiative to hold a series of summer ecological seminars in this ancient and holy Monastery. The fifth of these seminars commences today. Although five successive seminars are not sufficient to characterize their realization as an established institution, we are able to say that the timeliness and the acuteness of the ecological problem whose solution cannot be immediately predicted demand an increase and not a reduction of our efforts. Thus, what is needed is to expand and not curtail the offerings of these seminars, which, God willing, would consequently result in their consolidation. As is known, the topic of the first ecological seminar that took place here in 1994, was entitled "The Environment and Religious Education". 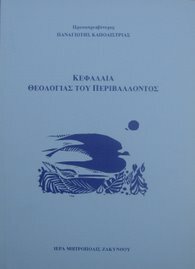 The following year, 1995, the seminar concerned itself with the topic "The Environment and Ethics." The presentations and reports of both these seminars have been published in English and are available to all who desire to acquire them. The third successive seminar had as its topic "The Environment and Communication," while the fourth concerned itself with the topic "The Environment and Justice." The topic of this present fifth seminar is "The Environment and Poverty." As is apparent from the above list of topics, the center of our concern focuses on man, who indeed lives within a specific terrestrial environment. For the environment receives its worth from -- and receives its name in relation to -- a distinct focal point which it surrounds. This focal point is, in essence, man, or otherwise the human biotope, not unto itself, but as a human ecosystem, since man, of course, does not live nor is he able to live by himself in nature. He lives simultaneously and collaterally in this system, together with the multitudes of living plant and animal organisms, each of which thrives or, even better, survives in specific environmental circumstances. Man is dependent on a natural ecosystem in which the needs of all the living organisms that coexist are well balanced and served by each other. The disturbance of this balance within the ecosystem renders the survival of certain types of life difficult, while their possible extinction causes further disproportionate or asymmetrical growth and development of others. The end result is the inability to meet their needs and, consequently, their death, which can often be seen as the desolation and the laying to waste of the eco-system or as a significant change of habitat for other, usually more inferior, systems. In ancient Greek thought, immeasurable growth and excessive development is sometimes characterized as Hubris -- coinciding with elements of haughtiness and disrespect -- while the consequence of this is brought on by Nemesis. In Christian terminology we speak of sin whose basic trunk, root, source and point of departure is man's pride, and whose wages are called, in one word, "death" (Romans 6:23). The topic of this year's seminar presents us with an inquiry about the meaning of the term "poverty." The fact that the term "poverty" is in contradistinction to the term "wealth," immediately guides our thoughts in the direction of ethics -- its deontological character -- the study of man's moral and ethical duty and obligation. For in the purely biological sphere where the selection of the good ethic and the bad ethic occurs slowly, we speak of sufficiency and insufficiency which is an objective condition, independent of the willingness of the subject and, therefore, a neutral ethic. 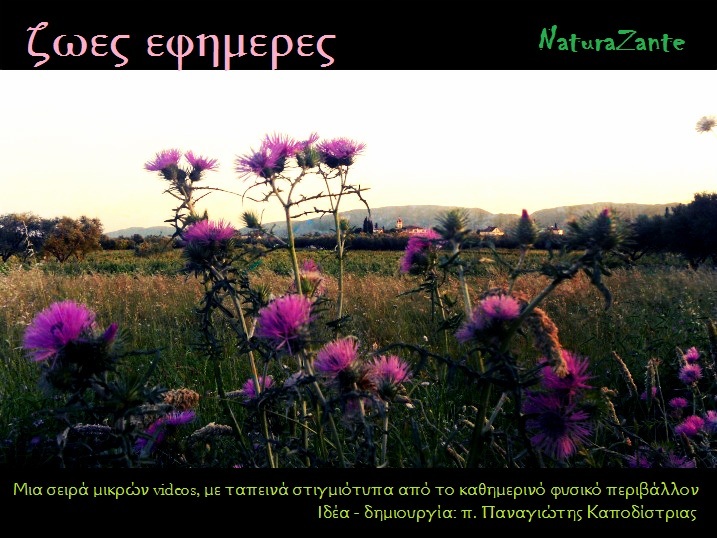 For example, we say whether in certain ecosystems nourishing or growing substances are either sufficient or insufficient, but we do not assign responsibilities to the living beings existent in them which effect the sufficiency or insufficiency of the nourishing substances or any other living substance in general. However, in any human society it is stated that some of it members grow in wealth or otherwise live over and beyond sufficiency -- that is to say, they possess more than they need. At the same time, others in society have less than the basic necessities that they need to live, and we immediately question ourselves as to the reason for this unbalanced distribution of wealth. We begin thinking that perhaps the totality of available goods is sufficient for the totality of the needs and, consequently, the observable superabundance and surplus for some and lack of the same for others is because of the blameworthy ethical desires of the greedy, who abuse their abilities and strengths, since they possess -- without real necessity -- the portion of those who are lacking the basic necessities of life. Consequently, the topic of poverty has many creases and folds, and the straightening and unfolding of all these issues exceeds the boundaries of the topics of this present seminar. Besides, all of human history unfolds as a struggle to extend human power -- both personal and collective -- over the material goods of the earth, in a manner which would provoke the perplexity of the true philosopher -- just as it did the primitive man living sufficiently in his natural environment -- as to why this mad frenzy exists in man for the exclusive control of goods that should be sufficiently available and shared by all. For the duration of this present seminar we will confine ourselves to the investigation of the connection between the environment and poverty. The possible points of view from which someone may study this specific topic are, based on what we have said above, perhaps two: these would be the objective and the deontological. We characterize as objective that which we see in researching the sufficiency or the insufficiency of those goods which are naturally produced, and which by human activity are grown in order to satisfy human requirements. If we set aside for now the views of the economists in regard to the boundlessness of human needs -- for the reason that these views do not speak about the natural, but about the psychological or spiritual needs of man; and if we assume that, as the Church, we cannot sanction the boundless material needs and desires of the diseased human soul that are caused by greed, but can sanction only those which are true needs by nature (with a certain inherent alteration toward the common good) and if we compare the available means with those that are realistically existent -- those both naturally and ethically justifiable -- we will be able to confirm with much astonishment that the earth is capable of nourishing and generally satisfying all of these needs for the totality of its population. The pessimistic theories of those who support opposing views have not been proven as being true. On the contrary, it has been proven that through technological and scientific progress in general, overabundant cycles of surplus crops have been achieved to the point that problems do not center on the lack of material earthly goods, but rather to their overabundant yield. Certainly, a balanced growth has not yet been achieved to a sufficient level causing certain regions to suffer because of overabundance and others because of deficiency and lack of goods. But this result is not due to the lack of human possibilities, but rather to the lack of human will and desire to do what ought to be done; to the lack of human ethic and human organization and cooperation. In reality, this is an ethical or a deontological problem, and not a natural one. Perhaps there will be certain objections from among the pessimists, but we are of the opinion that these do not stand. Especially in regard to the industrial and manufacture of goods, it is most apparent that the possibilities are great, and can definitely satisfy all human material needs and wants. In regard to natural goods and products, the information at hand speaks about a surplus of goods in technologically advanced countries, a fact which indicates that through the use of modern methods and technology sufficiency and surplus of goods which are available and manifest in all these countries can be readily increased and expanded to meet the needs of all peoples of the earth -- if there exists the human will to do so. Consequently, this objective analysis leads us to the conclusion that this problem is the result of selfish and bad (anti-deontological) human behaviour, and not because of the lack of natural means. We now come to the second point of view, the deontological or ethical view of this topic. The relevant positions and teachings of the Orthodox Church on these matters are, we believe, well known. The spiritual leadership of the Church, as well as every member who belongs to the Church, must sense that the needs of the least of the brothers and sisters of the Lord are their own needs, and they should work towards the satisfaction and fulfilling of these needs. The commandments of our Lord and the Holy Apostles in regard to this issue are numerous: The beatitude "blessed are the merciful, for they shall obtain mercy" (Matthew 5:7); the beautiful parable of the last judgement, in which the primary criterion of judgement will be the loving behaviour, or the lack thereof, of man towards his fellow human being (Matthew 25:31); the words of the Apostle James, the Brother of the Lord, who wrote that "pure and undefiled religion before God and the Father is this: to visit orphans and widows in their trouble, and to keep oneself unspotted from the world" (James 1:27); and likewise "if a brother or sister is naked and destitute of daily food ... and you do not give them the things which are needed for the body, what does it profit?" (James 2: 15-16), and many others, are certain examples of the positive Christian obligation to relieve the needs of one's fellow human being. Inversely, the explicit condemnation of greed as covetousness (Colossians 3:5); the proclamation of the Lord in regards to the difficulty of the rich in entering the Kingdom of Heaven (Matthew 19:23); the marking of the desire of acquiring material goods and pleasures as the reason for wars (James 4: 1-2), are a few examples of the ethical unworthiness of the possessive ideology of the world mind-set. This is how the Christian mind-set finds itself close to the natural order of things which, through the mouth of the Lord, is offered to man as the example of life: "Therefore do not worry, saying, `What shall we eat?' or `What shall we drink?' or `What shall we wear?' "For after all these things the Gentiles seek" (Matthew 6:31-32). "Look at the birds of the air ... Consider the lilies of the field" (Matthew 6:26-28) and believe that God, who feeds them and clothes them will give also to us the necessary things for our livelihood. This exhortation -- an exhortation to trust in Divine Providence -- that is to say, faith in the love and the concern of God for us, does not revoke our obligation to work and produce that which is necessary. Rather it also condemns the lack of faith and avarice, as well as the excessive and measureless occupation with this topic. Of course, the Neptic Fathers -- without abominating material goods, but only through the grace of ascetic struggle forsaking the multitude of these and preaching by the mouth of Abba Isaac the Syrian -- say that "it is clearly known that God and His Angels rejoice in caring for what is necessary, while the devil and his co-workers rejoice in resting (Sermon 27)." This is how a Christian is guided to a balanced use of the material goods of creation in temperance and contentment (1 Timothy 6:6,8), and journeys the royal middle road, praying with the author of Proverbs: "give me neither poverty nor riches" (Proverbs 30:8). Of course, humanity today "wishing to become rich," falls "into temptation and a snare, and into many foolish and harmful lusts which drown men in destruction and perdition. For the love of money is a root of all kinds of evil" (1 Timothy 6:9-10). This excessive acquisitiveness of today's world is greatly responsible for a large part of the ecological destruction of our planet and in the final analysis proves to be at the expense of all humanity, including those who desire to enrich themselves. This is how, after a first phase of over-exploitation and luxurious living, the phase of deficiency and poverty necessarily follow, because in one period those goods that were to be used by the many were greedily used up by the few. This means that poverty is not the result of an objective insufficiency of resources, but a predatory exploitation, followed by the wasting and bad use of certain resources: that is, an ecological destruction on one hand and an irresponsible and unequal division of goods on the other. The responsibility for both of these is borne by mankind, and we are obliged to help man understand this in order for him to actively work towards the notion of the logical and reasonable use of resources, the non-disturbance of the ecological balance, and the preservation of the ability of our planet to yield and produce life, so that poverty may be abolished or at least diminished. 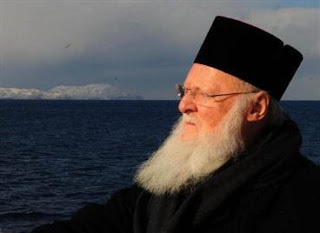 This is the goal and the objective of this year's ecological seminar, whose commencement we proclaim today, having with us His Beatitude, our greatly loved and distinguished Brother, Archbishop Christodoulos of Athens and all Greece. We welcome all the participants to this seminar, and we pray wholeheartedly for the success of your work and deliberations. Amen.